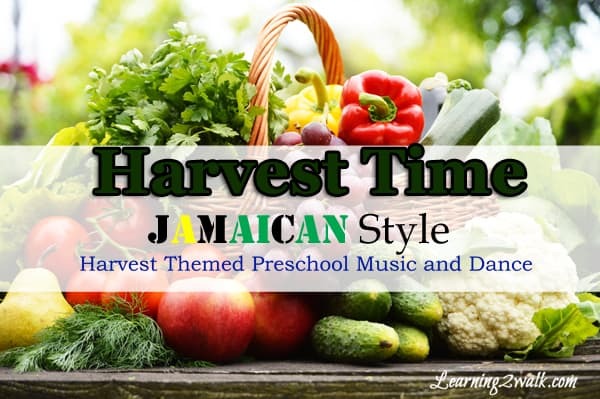 Today’s theme is harvest for Playful Preschool. Playful Preschool is a resource that consists of a group of preschool bloggers creating FREE content for a particular theme. Each theme addresses different subjects such as literacy and math. So far we have done an apple theme as well as family/heritage. Let’s walk. 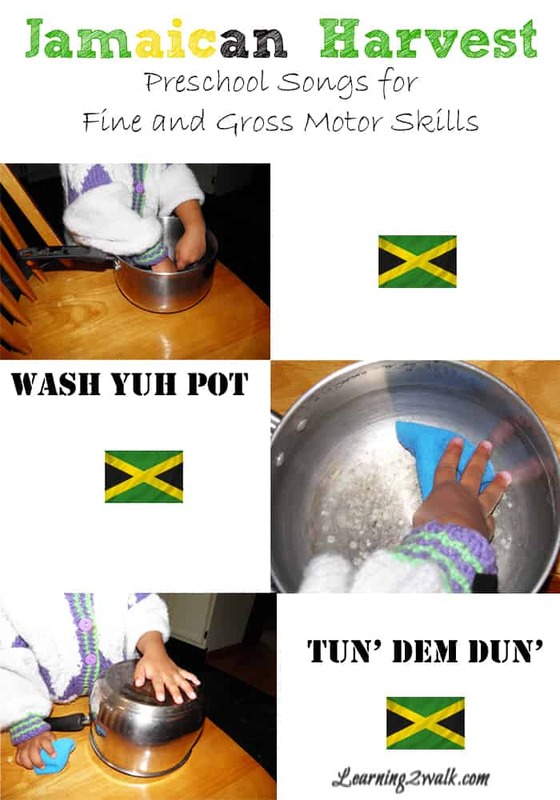 I am sure after my last post on family for playful preschool, you have gotten the gist that I am Jamaican, especially after I shared some of the games that we played while I lived there. 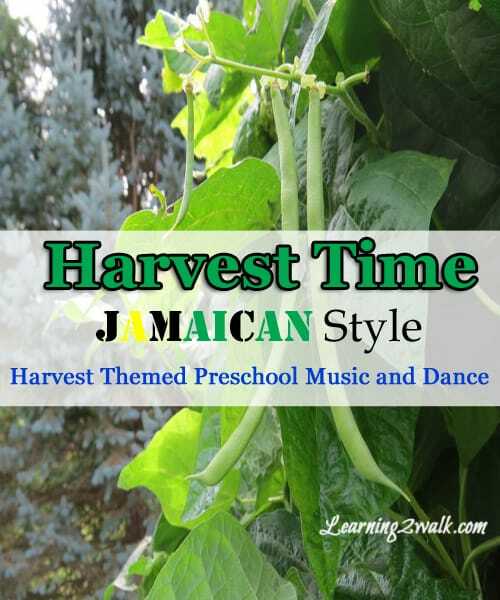 Now I am going to share with you what harvest time looks like in Jamaica as well as share a few songs with you in our native dialect. No worries, I will try to translate as best as possible. Mangoes are one of the fruits of choice for most Jamaicans, even though I cannot stand the sight of it. (Chalk it up to cleaning rotting mangoes fallen from the mango tree in our backyard.) As a result, when it is harvest time, clearly there will be a song that speaks to a love for mangoes. Encourage your preschooler to create actions for the lyrics. For example: washing the pot could be done by imitating how we wash the dishes. You can even give them a light pot to use and then instruct them to turn the pot upside down to dry. Yams are also quite plentiful at harvest time in Jamaica. Yams are a staple that can be found in most meals especially in our traditional Saturday soup that most Jamaicans make weekly. Roast yam on the other hand is absolutely delicious especially when it is eaten with salt fish, which is also known as salt cod. Click here is a link to the song being sung by the Carifolk Singers. Connecting songs and movement with learning is such a wonderful way to improve vocabulary and retention. Will be singing this with my preschooler (and letting him help me with the dishes!) Win-win! I love the Mango Time song. I will share it with our children who love to dance. I imagine this song will inspire them to move. I roasted a pumpkin yesterday to make soup. I will have to try roasting yams. Lots of learning to be had while singing and dancing! What fun resources. My little one loves to sing and dance so this will be very appealing to him! Love teaching through music and dance! It is powerful for children as they will remember. Nice post to accompany the harvest theme! TY! Love roasted yams not with cod though. I enjoy how you teach through music. It will help them to remember action s and so much more. She loved it Debbie! She didn’t understand half the words though. I wish I did have a little bandana dress though for her. Love the image! And this is very unique!! My son loves music! We played it several times. Love a different world perspective on harvest time! Pinned! Thanks for sharing your heritage! It’s so fun to learn about other cultures!